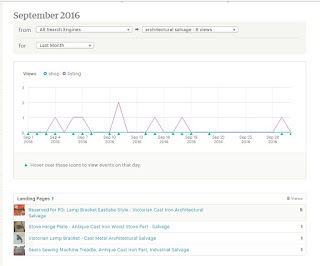 What my stats show about my top keyword "Architectural Salvage." That is a list of all of the search terms used to find your shop and items. The most popular are at the top. Click on one. (If you get the full list, it is acting up. Back out and redo it and it usually works the second time.) 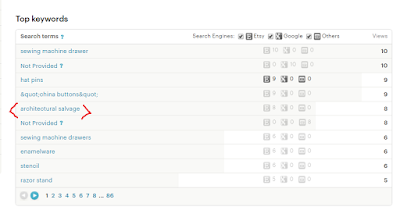 This page, called the “keyword landing page” shows on what page(s) that keyword (combination) landed. Above the chart are two drop-down menus. 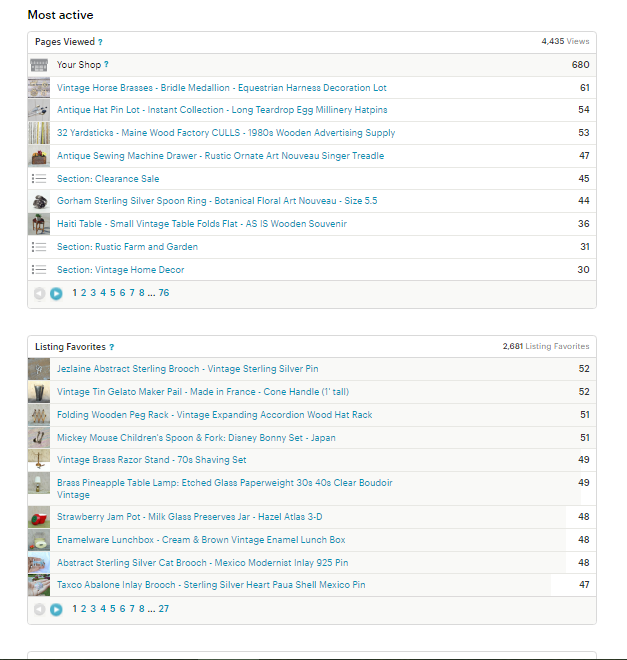 On the left, you will have a breakdown of search engines, including Etsy Search. Try a click in the right field, where the current keyword is. All of your keywords will appear in descending order. Also available is a search box where you can type in a keyword to check. 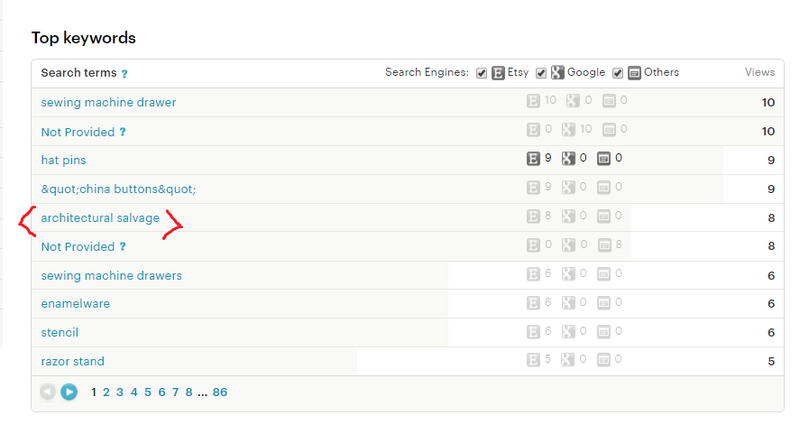 There are two lists across the Most Active page: Pages Viewed (“clicks”) and Listing Favorites (hearts). 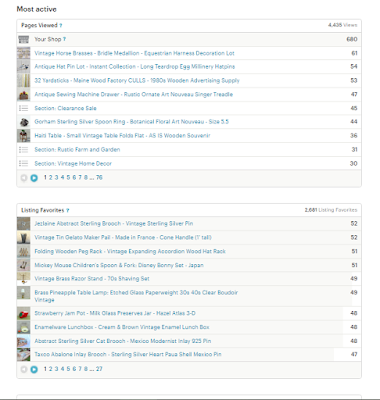 Click on any of those items to see how your traffic for those items is coming in. Where is the traffic coming from? What key words or phrases work to draw shoppers in? Analyze, or take a look at the top keywords and phrases. Put together a few promising combinations of words and weave them into your titles and tags. Your time spent will be rewarded! You may hear other sellers talking about "rankings." 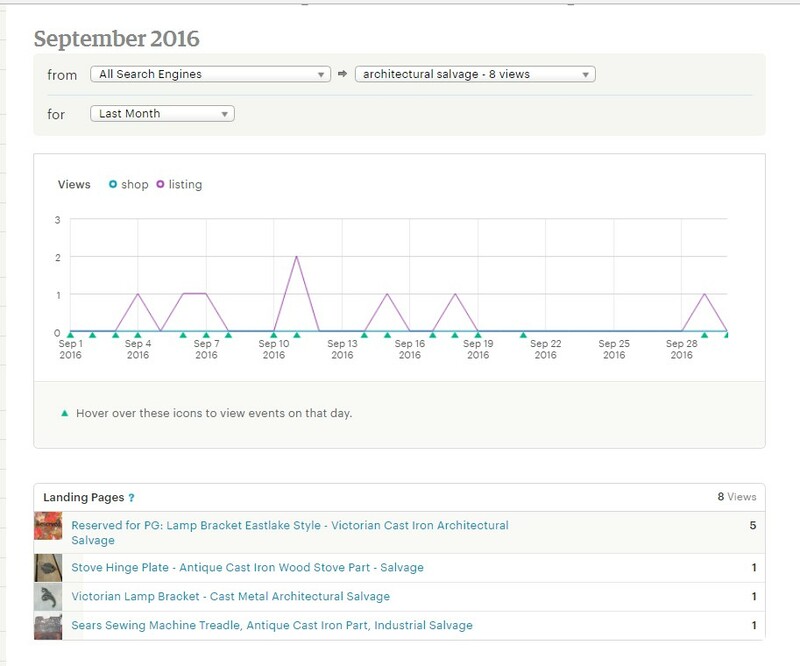 That refers to how highly our items fall on searches. If we find a keyword combination our customers use, that is a good thing. However, we need to realize that it it likely that lots of other shops have discovered this word combination. Try out similar word combinations to see if we can come up with a word combination that is even better.